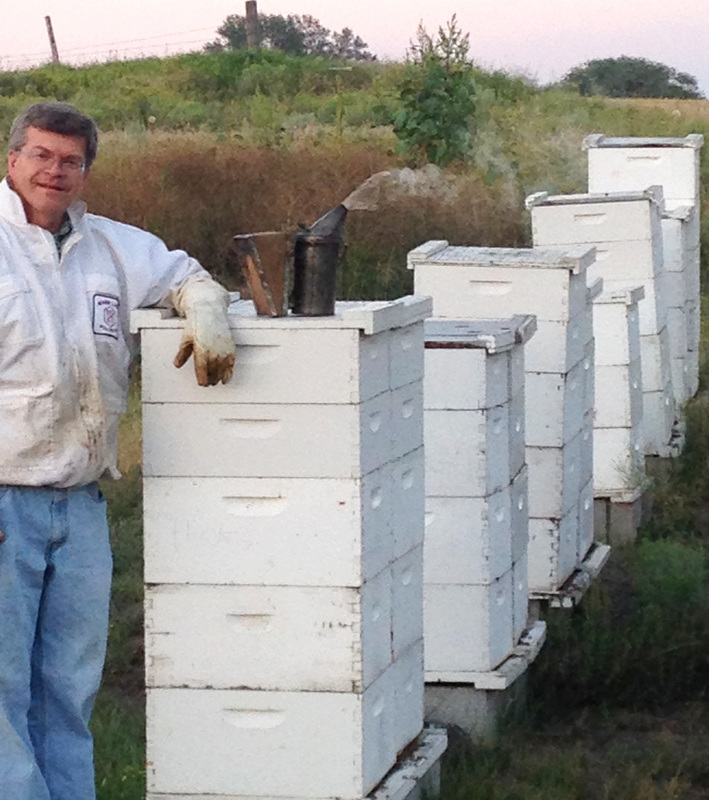 Ward Hicks earned his master Beekeeper Certificate from the University of Montana. In 1879, a group of pioneers in Parowan, Utah ventured into unknown territory and blazed a 250-mile-long trail over some of the most wild and rugged terrain in North America to settle in Southeastern Utah. At one point, the trail led to the edge of a 1,200-foot cliff. Standing on the rim and gazing down at the mighty Colorado River below, the settlers could only guess how to navigate their way down. Fortunately, they found a narrow crevice that was blasted wide enough to accommodate the width of a wagon. This narrow gap became known as, "The Hole in the Rock." The wagons were heavily roped, and teams of men and oxen were able to lower 83 full-sized wagons and 250 people safely over the edge of the cliff and down to the bottom of the canyon. In addition to the 1,000 head of cattle that descended the chasm, one family in particular, Henry and Sarah Ann Holyoak, hauled a unique item of carry-on luggage--a beehive! Yes! These hearty pioneers traveled six months lugging live bees down the canyon, across the river and up over the rough and rocky desert to start a new life in Southern Utah. The Holyoak's daughter, who traveled with the bees, pursued the art of beekeeping herself and in turn, taught that craft to her own daughter, Mary Y. Smith, my own grandmother. How I loved to hear the fascinating bee stories told by my grandmother about her family managing their many hives of bees. I remember clearly the first day I received my first hive from Grandma Smith at age 14. I immediately became captivated by these amazing creatures and pursued beekeeping in earnest for more than 40 years to come. Eventually my beekeeping pursuits led me to earn a Master Beekeeping Certificate from the University of Montana. This has opened up a number of opportunities to offer professional presentations in schools, civic clubs and other organizations and also teach various levels of beekeeping classes throughout Southeastern Idaho. This hobby has continued to what is known today as Hicks Honey. This family-owned business is full of dedication, loyalty, trust, and happiness resembling those pioneers on the trek to Southern Utah in 1879. If you are interested in honey products or beekeeping classes, please give me a "buzz" or send an email anytime and I will be glad to help you.